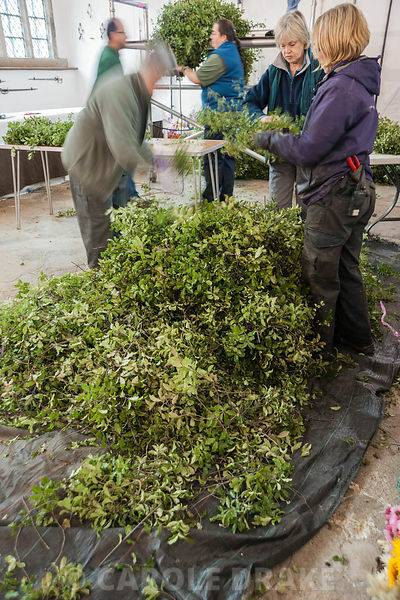 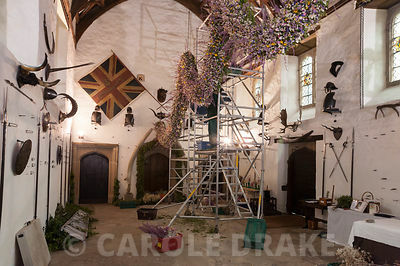 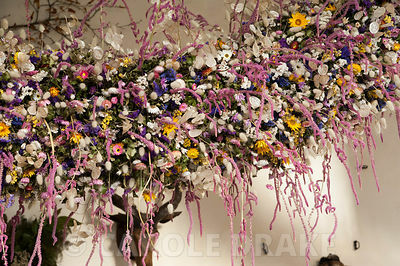 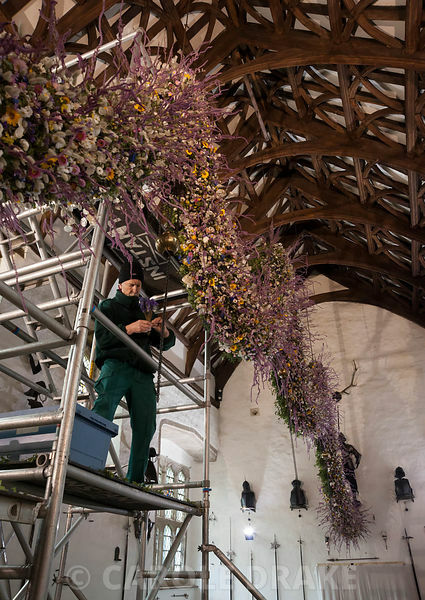 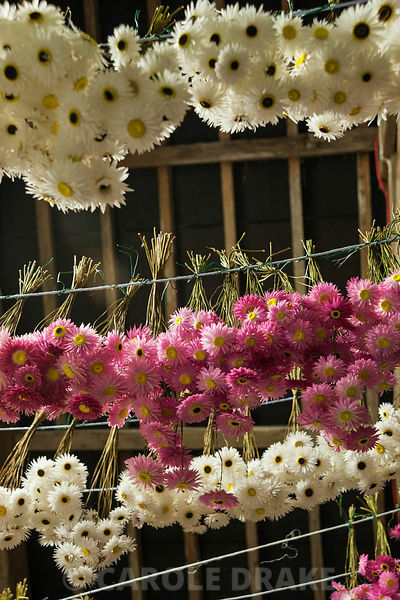 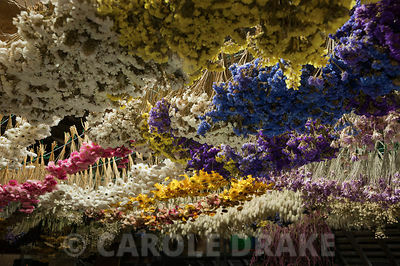 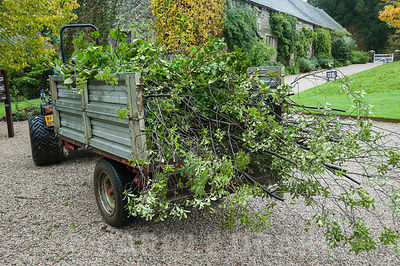 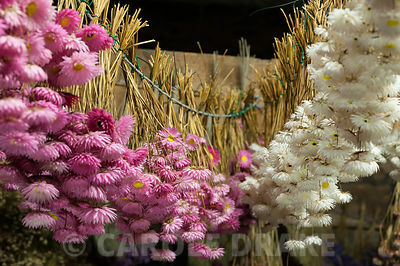 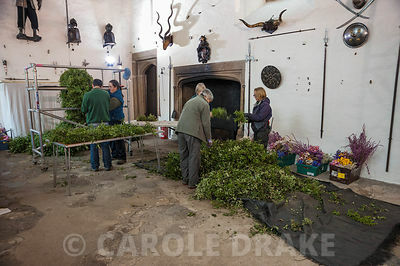 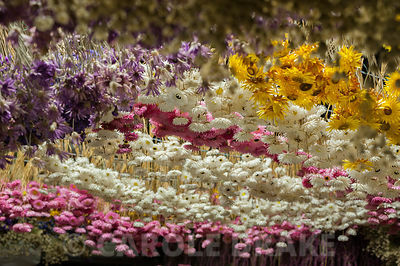 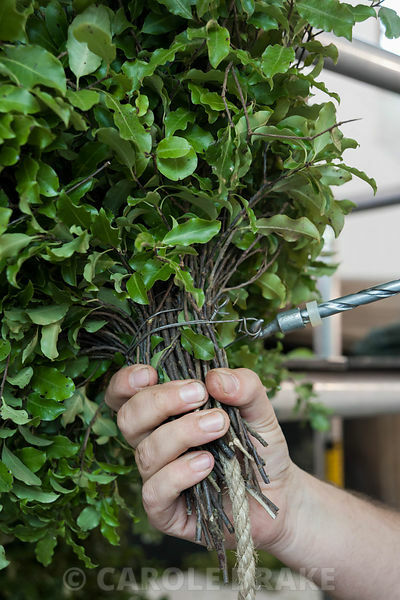 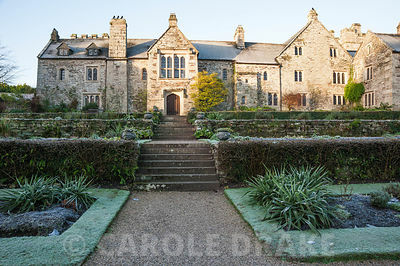 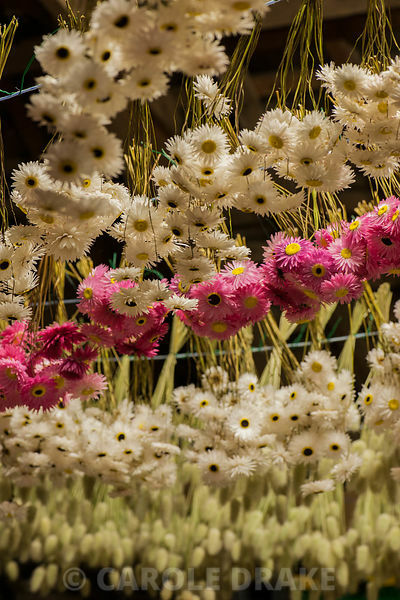 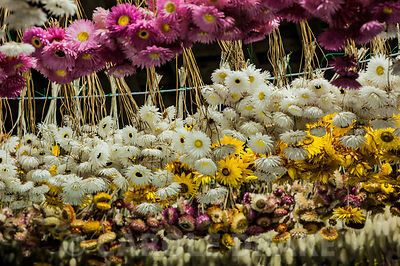 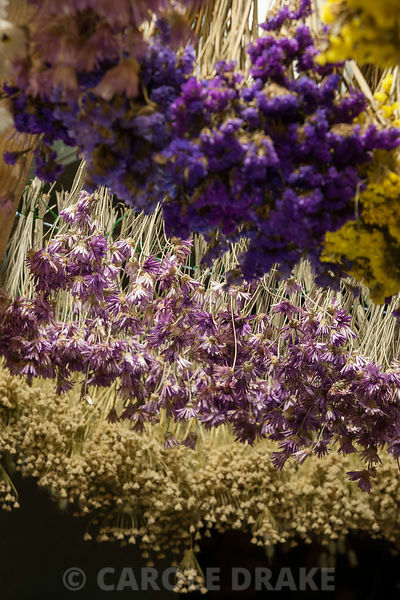 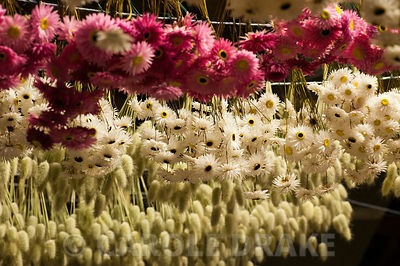 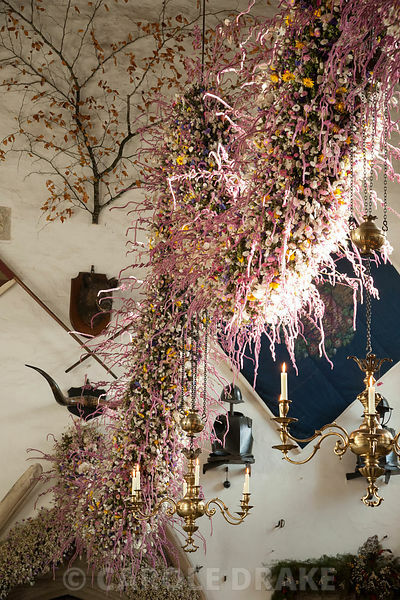 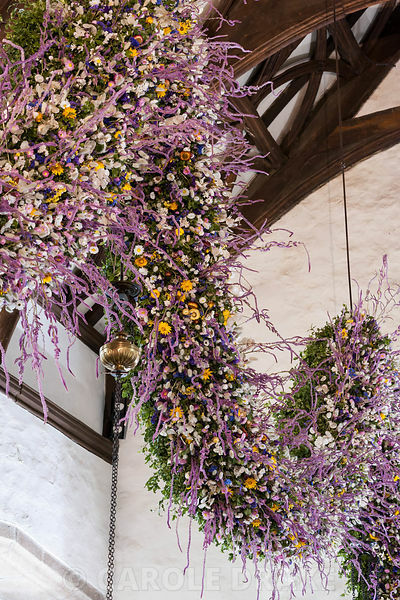 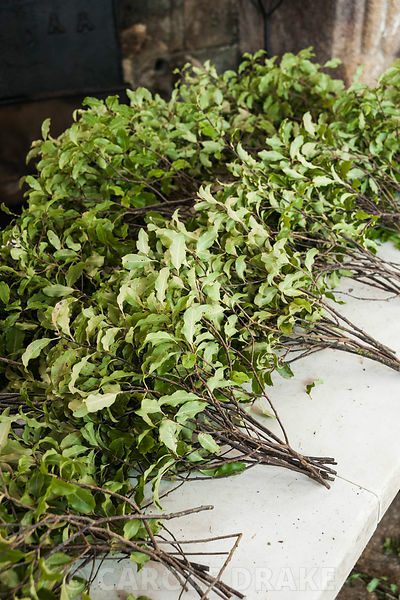 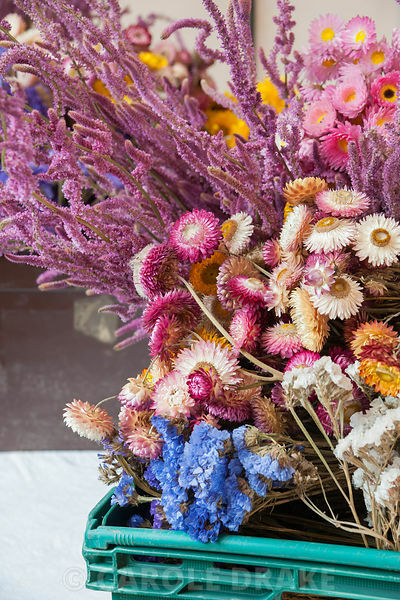 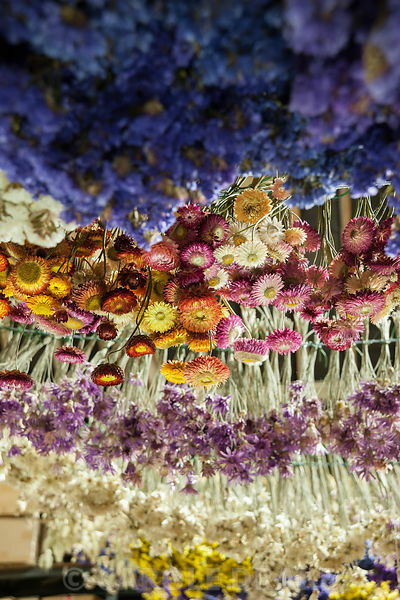 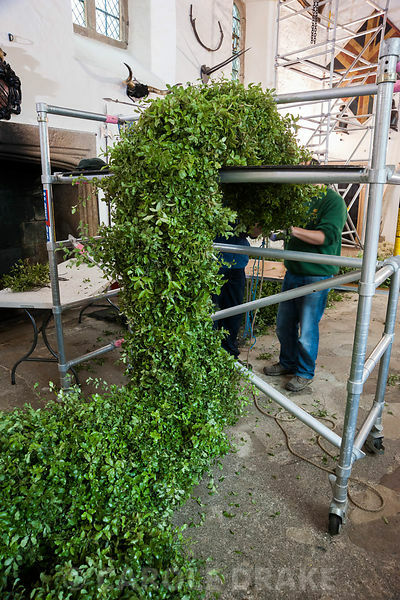 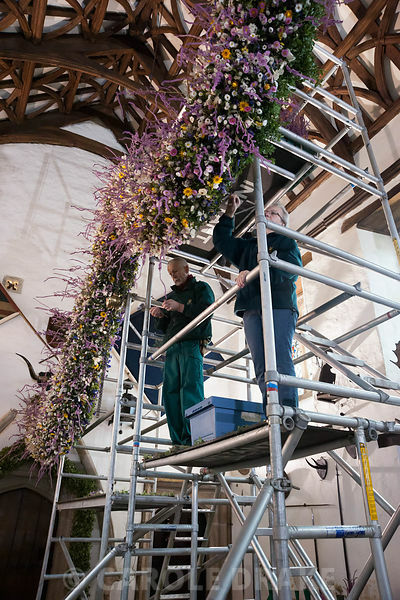 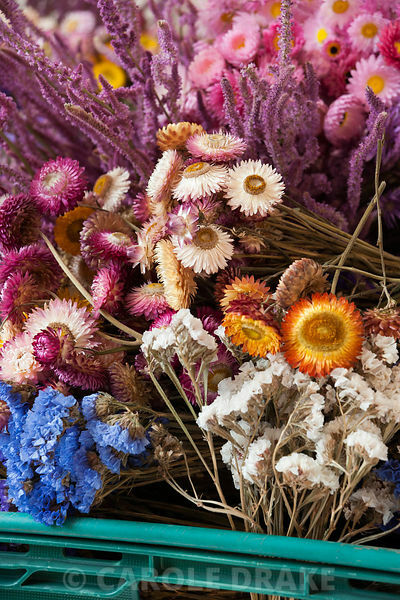 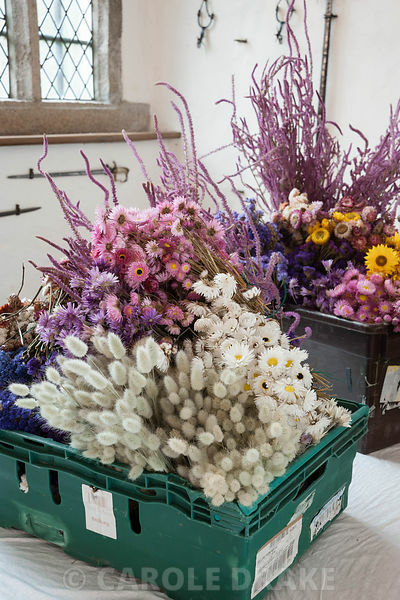 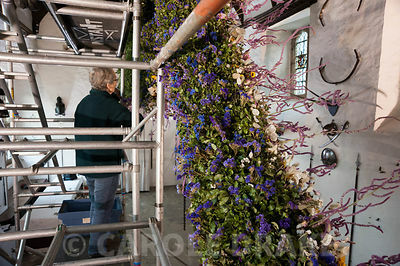 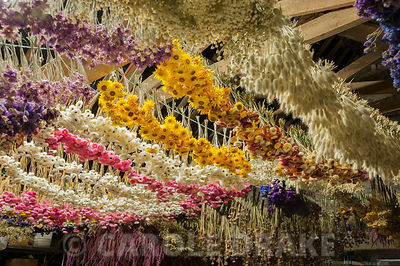 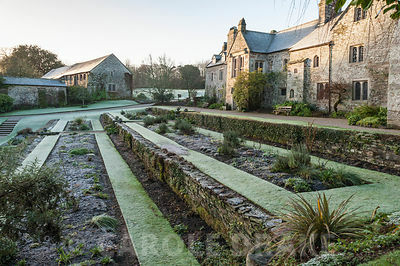 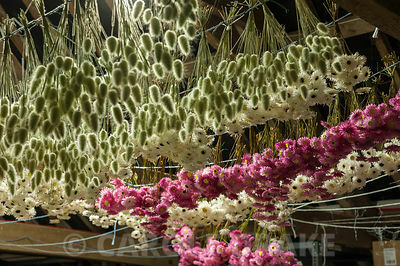 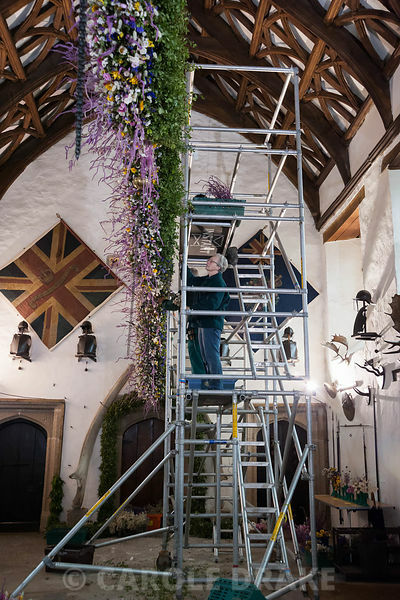 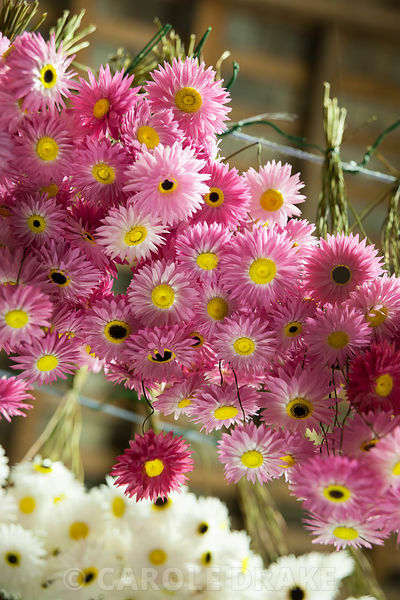 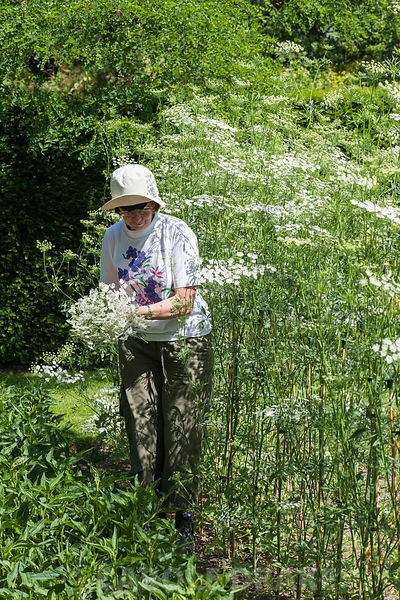 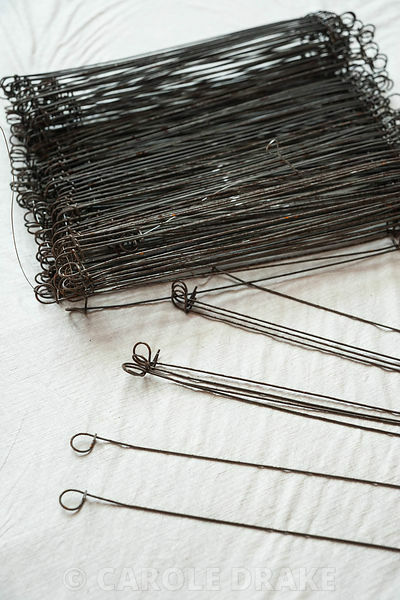 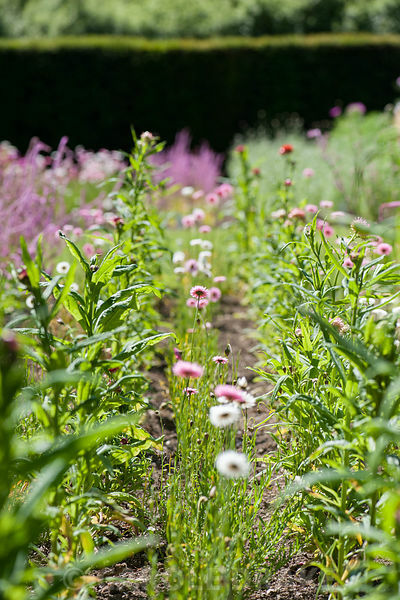 This sequence of images documents the creation of the famous dried flower garland at Cotehele, a National Trust garden in south east Cornwall. 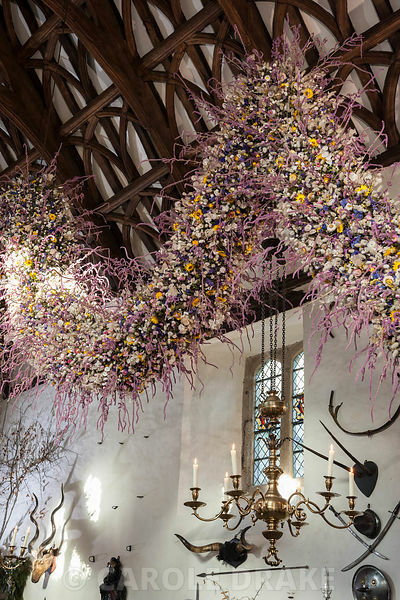 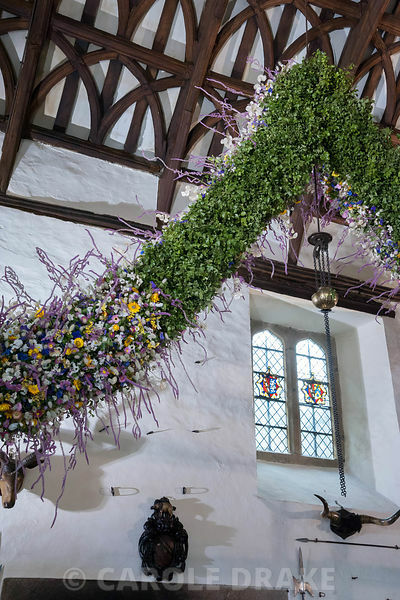 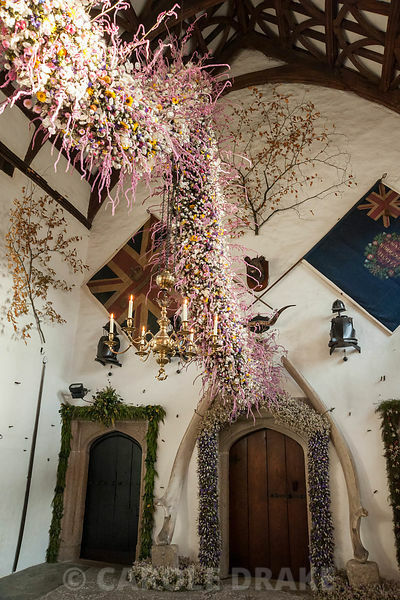 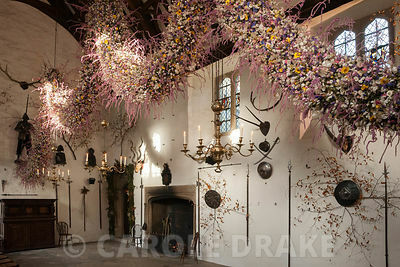 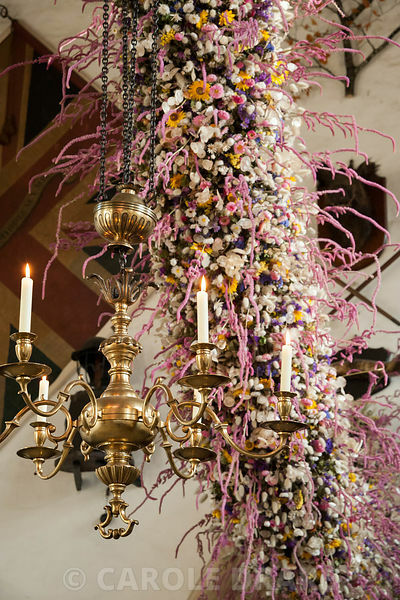 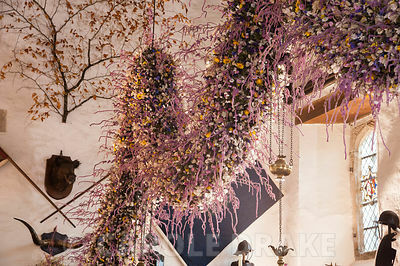 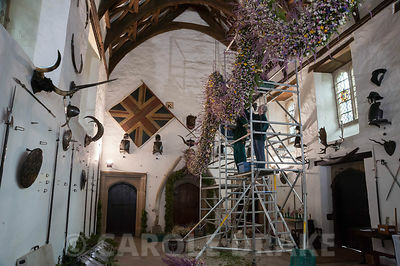 I shot the story from March, when the seeds were initially sown, right through to late November when the dried flower garland was constructed in the Tudor Hall to hang for the Christmas season. 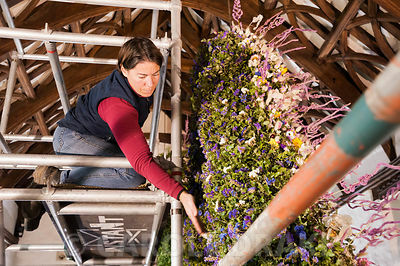 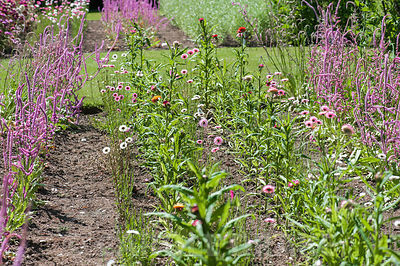 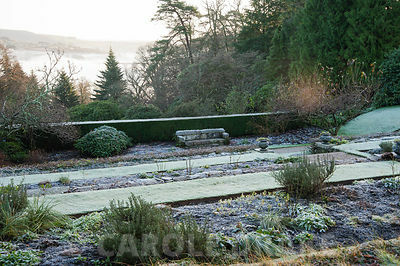 It was a fascinating experience and I am grateful to Aimee Kingdom, who at the time of shooting was the gardener responsible for running the project, for her help. 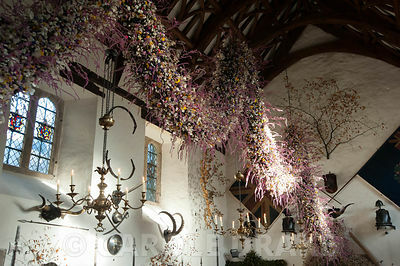 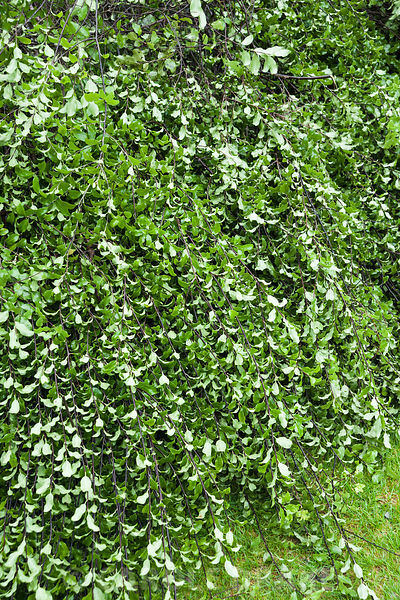 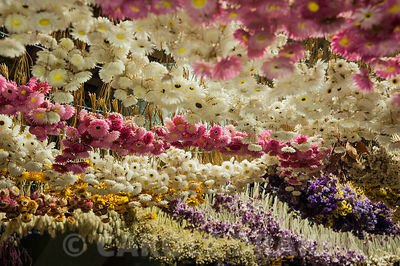 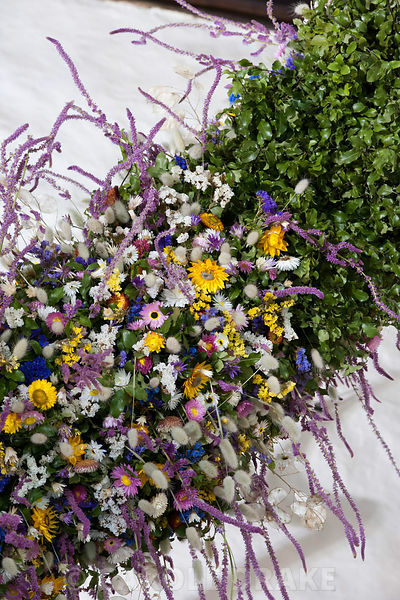 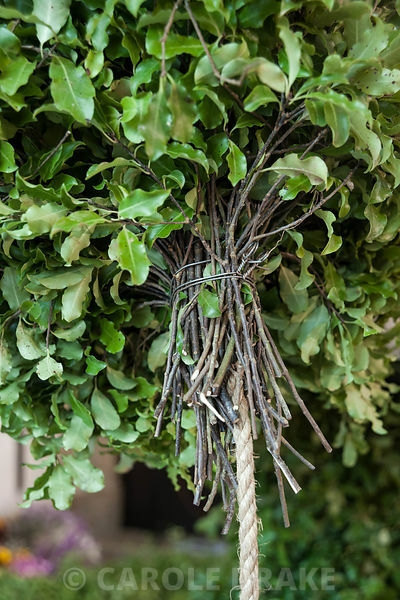 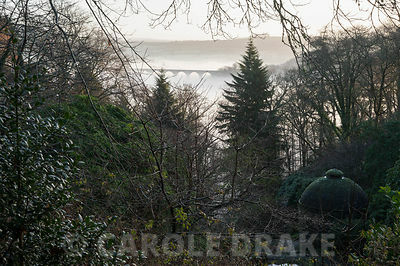 The garland is a snapshot of the summer, held fixed, vivid and brilliant, through the dark, cold days of winter.